Memory and the heart. Such fragile things on which to build our notion of ourselves. As the old prophet Jeremiah said, “The heart is deceitful above all things . . . Who can understand it?” And memory is surely at least as deceitful as the heart. Both memory and the heart seem to function at the mercy of the transient, ephemeral world of human life. And they are central to the fiction of Japanese writer Kazuo Ishiguro, who just won the 2017 Nobel Prize for Literature. An Artist of the Floating World is a beautiful emotional set piece. Following World War II, an aging Japanese artist struggles with his experience of post-war Japan. In time, he regrets his role in the rise of empire that ended in the destruction of the old world. 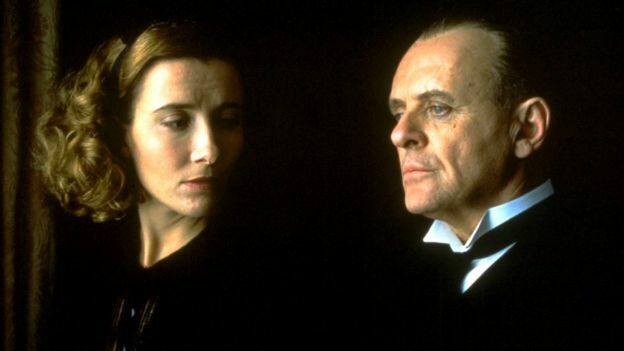 Emma Thompson and Anthony Hopkins in Remains of the Day. Both novels come from a perspective not long after the war. The protagonists look back on a time prior to and during the war, blended with their current lives. The tone of both is nostalgic, beautiful. 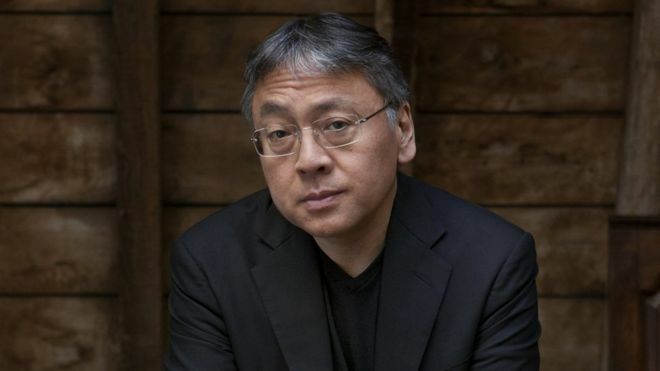 In An Artist of the Floating World, Ishiguro’s use of an unreliable narrator, whose growth in the novel is toward self-realization, is masterful. Numerous times in the narrative, the artist Ono says it is entirely possible that his memory of an event or conversation is not accurate, that things might not have happened exactly as he presents them. These admissions become part of his growth in awareness of self. They are some of the elements that make him sympathetic and human, and very like all of us. A reader who identifies with Ono, and feels compassion for him, may experience in reading this novel what Aristotle called catharsis in his Poetics, a vicarious purging of guilt and fear, the impetus toward self-understanding. (See Aristotle on Character) Ishiguro seems to be saying that as we grow older, we come to realize how much of our image of ourselves is dependent on feeling and memory, and we come to understand how fickle, how deceitful, those things can be. If we are to live in peace with ourselves, we must see ourselves honestly and forgive ourselves. We have all committed well-intentioned errors in our pasts. Only with honesty and forgiveness can we live with integrity and dignity.